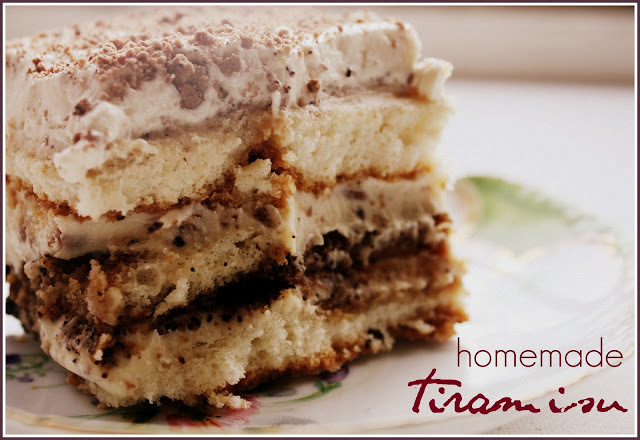 sewhungryhippie: Tiramisu from scratch...an Italian wonder! Tiramisu from scratch...an Italian wonder! This was pretty easy to make, surprise! 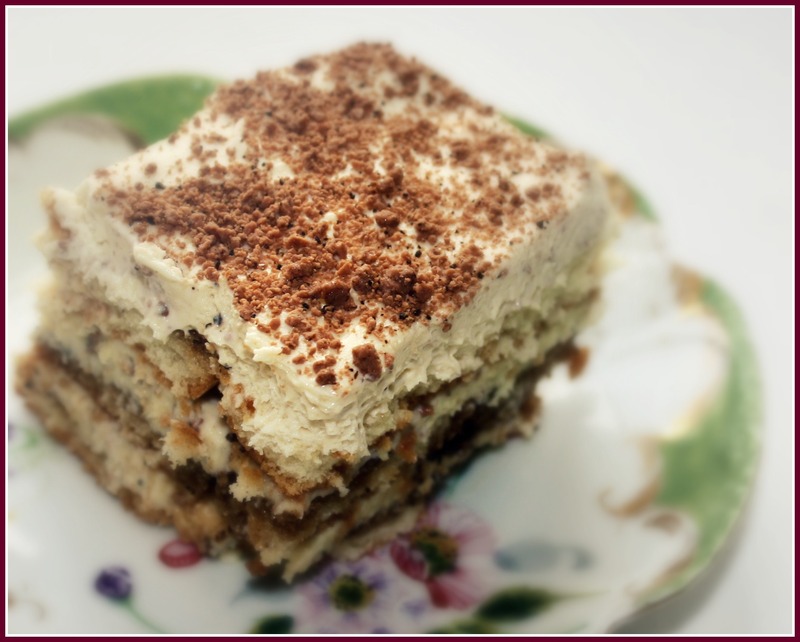 I made this desert both ways, first with the lady fingers, and then on another day with the milk sponge cake. I prefer the lady fingers, it's a little less "rich". Chill the mixer bowl and beater in the fridge (this makes whipping the cream easier if you go old school and whip real cream). This is your first layer of "cake". 2. To make syrup, combine granulated sugar, espresso powder, and 1/3 cup water in a saucepan. Cook over medium heat until boiling, BOIL for ONLY 1 minute. Cool completely. 3. Make filling: Combine mascarpone, vanilla, and powdered sugar until combined. Add in 2 ounces of grated chocolate. 4. Brush lady fingers in the cake pan with the syrup, then put 1/2 of the filling on top. Add another layer of lady fingers (cut in half horizontally) across this, and brush again with syrup. Add the rest of the filling. Repeat again one more time, only don't put mascarpone on the top layer. This will be for whipped cream. 5. Now get the chilled mixer bowl out of the fridge. Use your Dream Whip box or Real Cream, add the coffee liqueur and whip until soft peaks form. Spread whipped cream over entire cake and sprinkle with remaining grated chocolate. Cover and chill for 4 hrs. Have some wine darling. You did it. E A T & E N J O Y ! This looks soooo yummy! I am definitely saving it in my "Recipes to Try" folder :)TY for sharing! oh wow...that looks SO good! And it really doesn't sound as hard as I thought either. YUM!